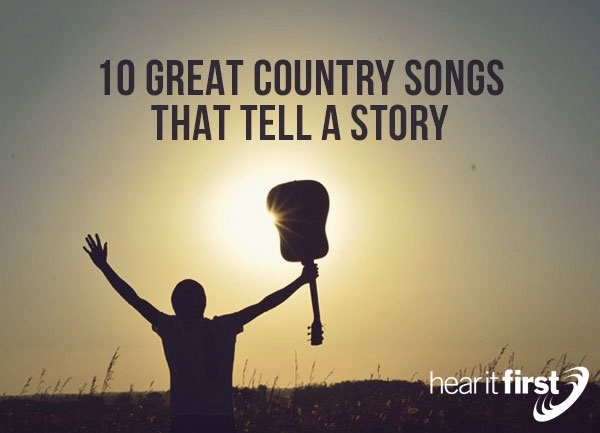 Here are ten great country songs that tell us a significant story about life. The song by Garth Brooks, Unanswered Prayer, was inspired by his own life experience when God refused to answer a specific prayer of his back in his youth. In this song, there was a married man who saw his old girlfriend at a high school football game and when they were together, he prayed that they would always be together. Or course, that didn’t turn out to be the case, and as he reflects now, God all along knew that they wouldn’t be compatible so “Unanswered Prayer" was just what he needed, even if it didn’t feel like it at the time. This is an excellent reminder that only God knows what will make you the happiest. Nashville songwriter Connie Harrington, who wrote Lee Brice’s I Drive Your Truck, was conceived when the songwriter heard about a father who drove his deceased son’s truck. His son, who was a soldier serving in Afghanistan, was killed in the line of duty, so the father used his son’s truck as a way to get process his deep grief and the only difference between the true story and the song was that the songwriter changed the father to a brother. Even so, the story remains deeply moving, particularly to anyone who has ever served or who has lost a loved one in the military. This song, Harper Valley PTA, sung by Jeannie C. Riley, was based upon a true story when Jeannie was only 9 years old. She happened to meet a single mother in her small town, and like most small towns, there was the telegraph, the telephone, and tell a neighbor. The gossip, most of which was apparently unfounded, was focused on this woman, a single mother, who was told by the local PTA that said, wore her skirts too short. This woman then called out nearly every member on the board and reminded them of their own immorality (being very specific) to remind them that they had no right to judge her because they were full of hypocrisy themselves. Sissy’s Song, sung and written by Alan Jackson, is based upon his own experience. It involved the death of his housekeeper who lost her life in a motorcycle accident at the young age 26. Jackson wanted to tell this lady’s story and how fine of a woman she was. The lyrics reveal Jackson’s deep respect and admiration for his housekeeper, and the fact that it’s based upon a true story makes it even more meaningful. Jackson wanted to make a very fitting tribute to a very fine woman (Sissy), and he succeeded. In the song, Jackson contemplates the futility and meaninglessness of life, like with the unexpected death of his housekeeper. For those who know Jackson, they say this song is one that is most endearing since it holds so much meaning for him. The song Grandpa, by the Judd’s, is a moving account of just how much has changed in life. It’s not so much what grandpa’s mean to us, but those early days with grandpa are nothing like they are today. Grandpa’s gone and it seems, so is everything else from the past. Cant’ we who are older identify with that? I am sure many of us can relate to it. The author, Jamie O’Hara, wrote this with the express intent of reminding us of our past, and just how rapidly life has changed; and not for the better. Divorce is now more common, leaving children without a father in the home in many cases, and with the father now gone, much of the help and responsibility of raising the children is gone. How many of us have had a precious grandfather pass away who we dearly miss? This song brings us back to “the good ole days,” “back to yesterday.” In reminiscing, they ask, “Did families really bow their head to pray” and “did daddies really never go away.” For some, this song brings back a mixed emotional brew of good memories and bad, and reminiscing about the past. The song, The Letter (To Daddy), sung by Kellie Pickler, is based upon the singers own early life. She certainly had a hard life because her father was an alcoholic and finally ended up in prison. That’s when she writes her daddy, while still in prison, and recalls in song, just how much this hurt (and probably still does). Since this is a real-life account, it makes it more personal when listening to it. It’s almost as if you can hear the songwriter’s pain. Maybe that’s why she’s able to convey the sorrow of losing her father to prison. There are a lot of children that can identify with this song because that’s what’s happening to many of them today. The song, Die a Happy Man, was written by Thomas Rhett and performed by Travis Tritt, but this song is very special to Tritt because Rhett wrote this song about his wife and childhood sweetheart, who have known each other since the first grade. This is better than a touchy, feeling movie or song, because it’s about real life and real people. This song is really a story about a man's need for nothing more in life than his woman's “crazy love.” This song was about his wife, Lauren (Gregory) Akins, and in the music video of the song, Die a Happy Man, the barefoot dancing, flirty teasing and impromptu kisses are all real, says Rhett. The song, Amarillo by Morning was selected as one of the top 100 songs of all time but also selected as by the Western Writers of America. This song is the consummate story of losing about everything, including one’s self-respect, as he sings, someone too his saddle in Houston, he broke his leg in Santa Fe, and he lost his wife and a girlfriend along the way. All he’s got is the dime in his pocket and “Everything that I’ve got is just what I’ve got on” he bemoans. Who among us have not experienced this or seen someone else go through the same thing? The song, Boys ‘Round Here was written by Rhett Akins, Dallas Davidson, and Craig Wiseman and was made popular by Blake Shelton, This song, Shelton says, is reminiscent of the way that he grew up. That included “Drinking that ice cold beer” and “talkin’ ‘bout girls” and “talkin’ ‘bout trucks.” That is Shelton’s life, he says, and acknowledging that there’s a lot of red necks where he grew up. If music stores and those online had a section of music called “Non-Fiction,” imagine how that might change your perspective on listening to these songs? Perhaps you can think of another country song that is based upon a true story, or based upon real life experiences, either by the singer or songwriter that applies to you. All of us have been through the school of hard knocks, but we do graduate, as did many of these artists above. What song do you think should be included in this list? Tell us why. It’s so true that life is stranger than fiction because it’s often more powerful being it’s real.